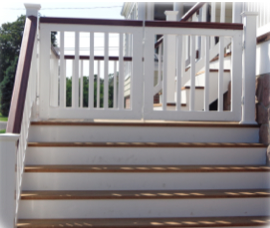 Mahogany Railings are another reason why we are known for innovation. 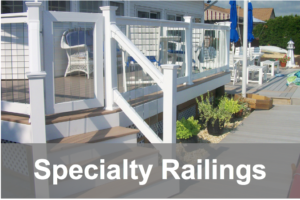 We were the first railing manufacturer to combine the elegant look and feel of mahogany wood top rails with maintenance free and durable PVC or aluminum balusters. Why did we do this? 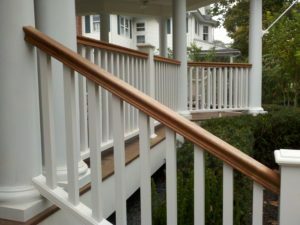 People love the look and feel of wood, but want to avoid the expensive and time consuming maintenance associated with wood balusters. 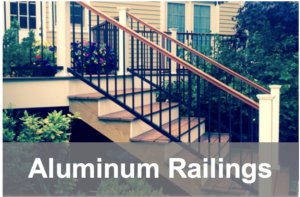 Top rails are easy to maintain. 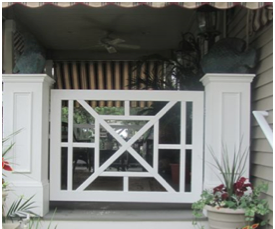 Mahogany railings have rich, beautiful and varied wood grain patterns. Mahogany is the most stable hardwood. It holds its shape. 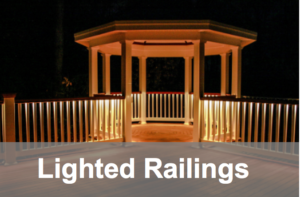 Our Mahogany Top rails are of the finest quality graded lumber (Entandrophragma cylidricum), which are hand-picked and carefully inspected before leaving our warehouse. 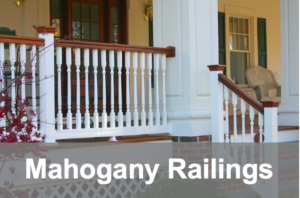 Mahogany rails have a natural resistance to moisture and atmospheric changes, so they are resistant to rot, mold and decay compared to other wood choices. 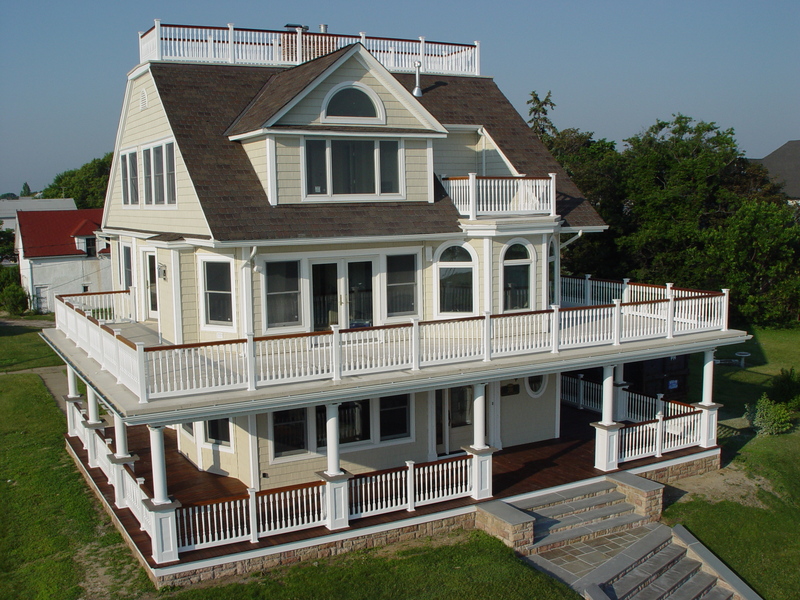 Check out our Inspiration Gallery for beautiful examples of our powerful mahogany railings and PVC baluster combinations. 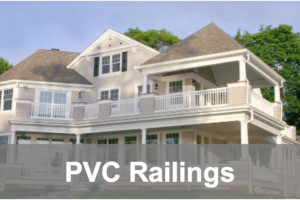 Phoenix offers you options unlike many other companies. 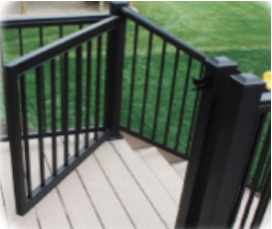 At Phoenix, we go beyond the ordinary and take railings to a higher level providing quality products with limitless styles. 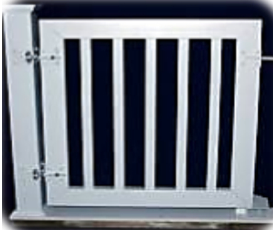 Safety and high standards are a top priority for Phoenix. 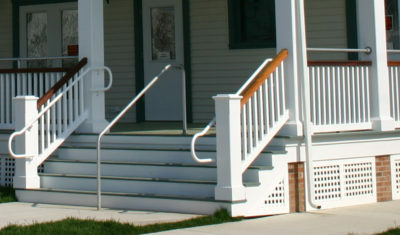 Our standard rail kits have approximately 3″ spacing between the balusters. 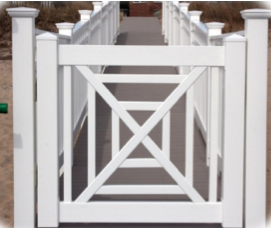 We can customize to other spacing if you would prefer! 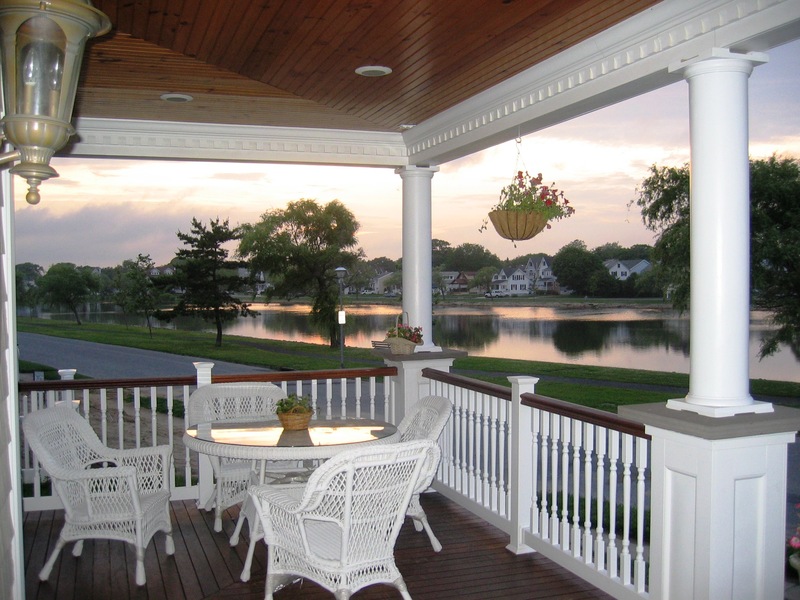 Note: Mahogany Top rails must be treated with an oil-based stain following installation to weather-proof the rail and keep its quality/appearance intact. 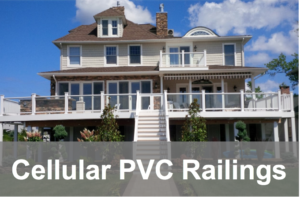 Phoenix PVC Rail Systems are Beautiful, Bold, and Elegant as well as engineered for Superior Strength and Durability to provide Long-lasting Value and Performance.